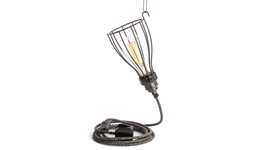 The galvanised light cages have a variety of lighting applications. 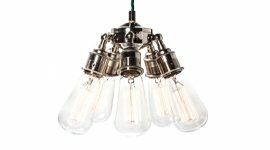 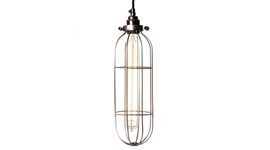 They can be configured as complete cage pendant lights - with ceiling rose, cable and lamp holder - using the groundbreaking Custom Lighting service. 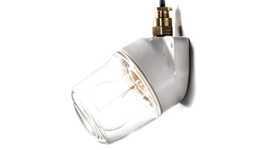 They are compatible with the threaded E27 lamp holders and can be installed in a galvanised conduit project. 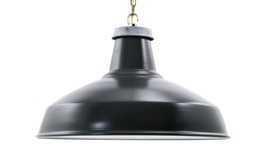 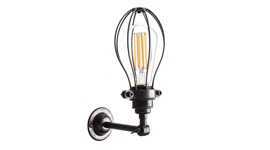 And they can also be fitted to the Maria wall lights and Maria Small ceiling lights. 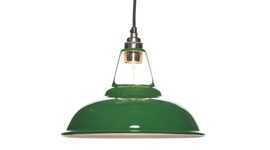 the light cages are also available in five other metallic finishes and six powder coated colours - see all the finishes and colours here. 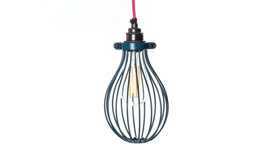 The light cage collection includes a Small Balloon Cage, a Long Tube Cage and an Open Bulb Cage in a range of powder coated colours and metallic finishes.